Founded a decade ago, “The Linking Tree” is a platform to connect individually and collectively to create meaningful learning experiences towards growth of self, teams & organisations. 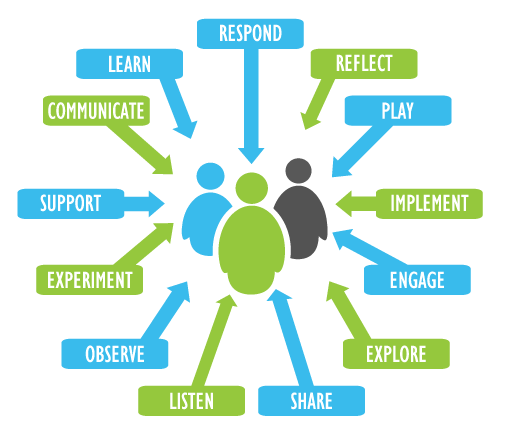 We partner with organisations to design and conduct learning experiences which lead to behavioural and attitudinal shifts. It is our firm belief that learning & development initiatives are not one-off events, but rather a process. In terms of our approach to work, this translates to a shared sense of responsibility and working in true partnership with organisations to deliver the best possible solutions. Our team has over 2500 days of training experience having conducted programs for more than 20000 participants and serviced over 50 satisfied clients. We aim to transform experiences of our participants into learning that is fun, engaging, inclusive & contextual. The process we adopt is experiential where the onus of learning is on each person. It is our responsibility to provide an environment which facilitates the process of learning. We play the role of catalysts to trigger thought & action, thereby creating people who are more mindful, sensitive, aware and in sync with others and the work they are committed to. Gauri has 20 years of experience in facilitating experiential learning programs for adults and youth. She has conducted over 1000 days of training for more than 50 clients. She is a certified achievement motivation trainer from NIESBUD, a corporate coach accredited by International Coaching Federation and a qualified mountaineering instructor. 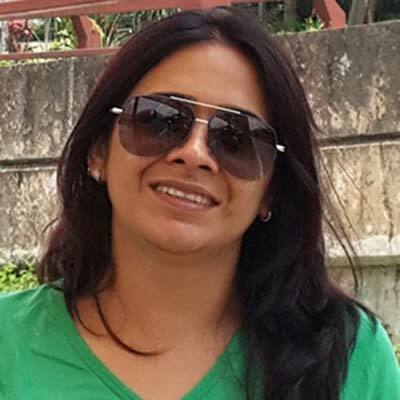 Gauri has a degree in economics & psychology from The Lady Sri Ram College, Delhi University, a diploma in tourism and is a post graduate in PDHRD from AIMA. Her career began with tourism, but her passion led her to facilitating outdoor learning for youth and adults. After having worked with various training consultants, she co-founded The Linking Tree in 2008. A few organisations that she has conducted trainings for – IOCL, NTPC, GAIL, Luminous, Hero Moto Corp, Maruti, Pepsi, IFCI, American Express. Ritu has 17 years of experience in facilitating experiential learning programs for adults and youth. She has conducted over 1000 days of training for more than 50 clients. A certified master NLP & FIRO – B practitioner, a certified trainer & facilitator from Carlton and a qualified mountaineer, she graduated at the Ness Wadia College of Commerce in Pune. 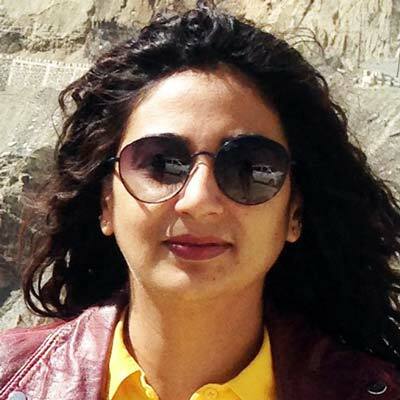 Her career began as a young associate in advertising but her passion led her to founding Percepshn, an adventure based learning organisation in Pune. After having worked with various training consultants, she co-founded The Linking Tree in 2008. 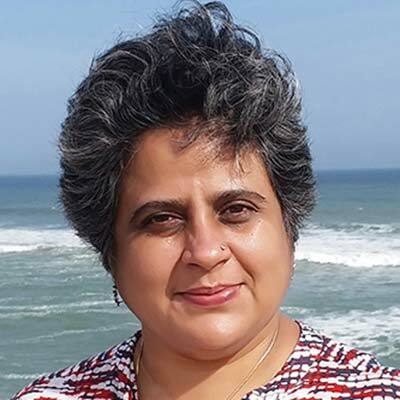 Ritu has facilitated executive learning across levels for NTPC, OIL India, POWERGRID, Perfetti Van Mille, XL Capital, Hero Electric, Samsung, TERI, Akzo Nobel. Anjali has over 6 years of experience in facilitating experiential learning programs for over 500 adults. She has a BSc. in Home Science, an MSc. in Child Psychology, a B.Ed degree from Kurukshetra University and has completed a diploma program in HRD from National Institute of Labour Education and Management. In addition, she also has a PG diploma in counselling and family therapy from IGNOU & is pursuing a diploma in training & development from ISTD. She started her career as a special educator with milestones, an NGO that works with youth of special needs & joined The Linking Tree in 2012. A few organisations she has conducted trainings for - GAIL, EIL, NHPC, KHD, HLL, Mother Dairy, IOCL and RITES. We have over 20 Associate Facilitators and Instructors who help us in design and delivery of programs. “It was designed in an excellent manner especially considering very limited time span. It helped me to learn many things related to building and developing relationships with different people in life. These things will help me to become better professionally & personally”.